Concept that I designed and produced of a desmodromic valvetrain system, making use of hydraulic adjustment for the closing arms and a single camshaft. 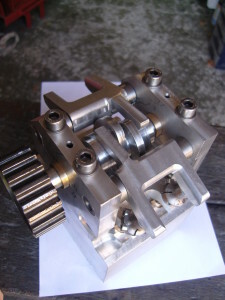 Desmodromic valvetrain systems are a rare breed within the automotive industry. 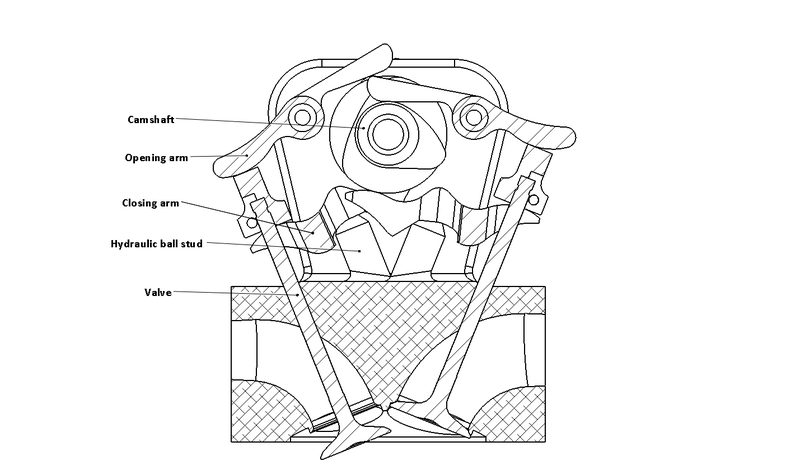 Numerous manufacturers built actual (racing) engines with desmodromic valvetrains (such as Ferrari, Mercedes, Toyota) but only Ducati uses the system on it’s production motorcycles. Desmodromics offer some advantages over conventional valve spring systems. 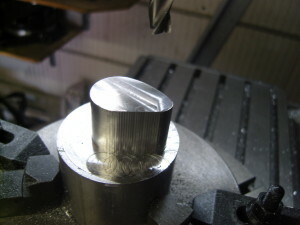 By not needing to compress a valve spring with the added friction, using direct acting mechanical arms to open and close the valve, a desmodromic system has less friction. 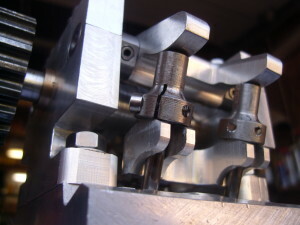 Desmodromic systems also allow for more aggressive cam profiles over spring’d valvetrains though this is only of interest for high performance engines, such as Ducati’s engines. Desmodromic valvetrain’s have another advantage; less powerful torque pulses on the camshaft. 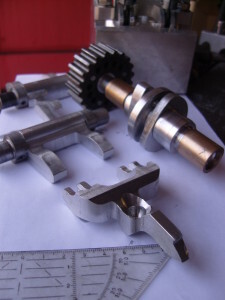 On a conventional valve spring system, when the camshaft pushes upon the valve it also needs to compress, or ‘load’ the spring up so that it has inherent energy to close the valve thereafter. So not only does it need to move the mass of the valve and attached parts, but also compress the spring. When the cam lobe passes the point of maximum lift, the valve spring releases it’s energy to close the valve and puts what’s left of it’s energy back up against the cam lobe. As a result, the camshaft is subjected to positive and negative rotational energy. As the engine revs higher, more energy is required from the spring to close the heavy valve, and less is released against the cam lobe. A desmodromic system runs much smoother as it lacks the negative/positive rotational energy pulses. It never releases energy back against the cam (since it doesn’t built it up first) and it also doesn’t consume more energy than it needs. But desmodromic systems have a few but also significant drawbacks over spring valvetrain systems. 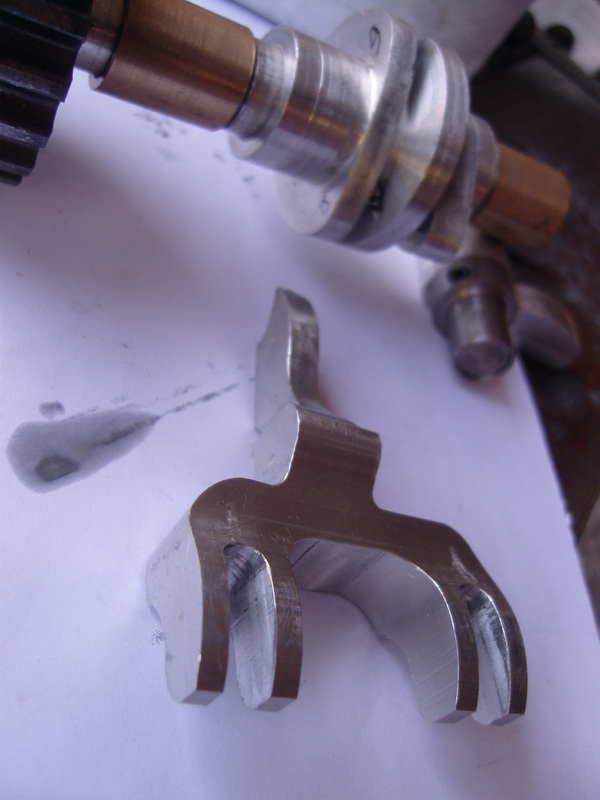 Desmodromic systems cannot self-adjust, leading to frequent and costly valve adjustment intervals. Although in the 90’s an increase in high quality valvetrain systems have led to maintenance-free spring valvetrains, this turned out to be impossible on a desmodromic system due to the use of 2 different cam lobes and associating rocker arms, both requiring correct clearance. Desmodromic systems also tend to be noisier, and fully variable lift/duration is not an option limiting it’s usability in modern engines that require stringent emission standards. But as emission standards are becoming increasingly stringent, manufacturers are looking for new and existing – often more expensive – ways to meet these standards. Emission regulations can be met in several ways, from lowering gear ratios to engine downsizing and reducing friction within the engine. Reducing friction with desmodromic valvetrains may therefore see a comeback. With regular maintenance being the primary concern of a desmodromic system, I set out to design a concept in which the closing arm hinges upon a hydraulic ball stud, being fed by pressurized engine oil, as can be found in regular spring valvetrains. In this setup the closing arm will always keep ‘zero clearance’ regardless of engine temperarature or wear. 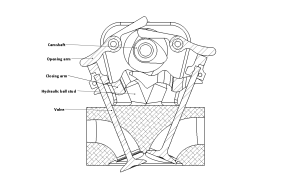 However, the opening arm cannot be adjusted with any self adjusting hydraulic setup, as this would start to work up against the closing arm’s hydraulics. 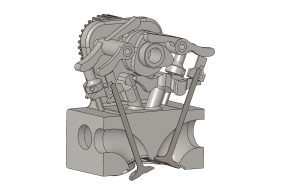 But as the closing arm can never close the valve any further than what the valve seat allows, the actual clearance between the top of the valve and the opening rocker is not any different over a regular spring valvetrain that does not run self adjusting hydraulic clearance adjusters. 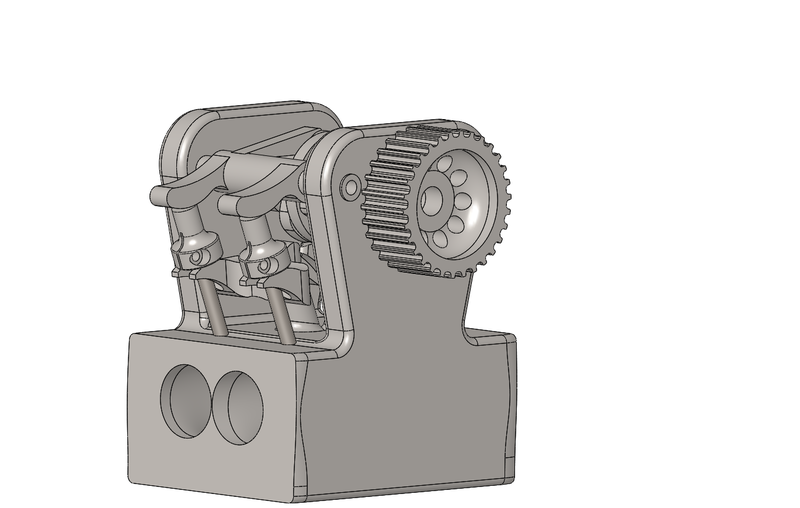 As a result, the opening arm can be setup in the same way as a valvetrain with springs and rocker arms. These pictures show the design and location of the various parts. 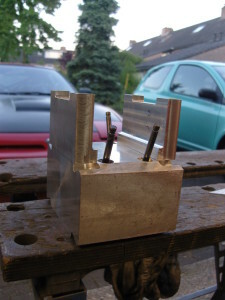 The prototype was made from aluminium. Not just the ‘head’ but also the cam and rocker arms. It will not be subjected to high revs or forces being a prototype, as long as it can be turned by hand. It does hold up to 1800rpm from an electric drill, the ease with that the cam spinned and controlled the valves at such high revs confirmed my expectations. 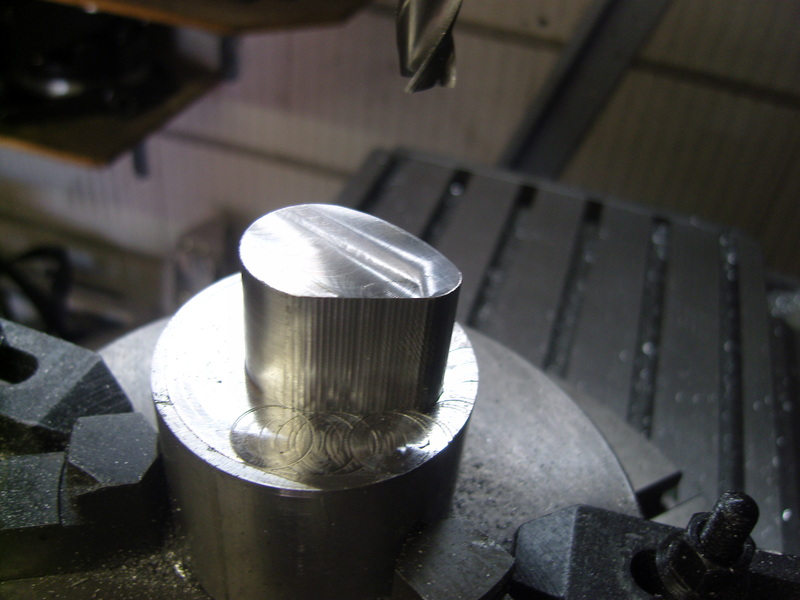 Since it was impossible to apply oil pressure to the hydraulic ball studs, they were replaced by small springs. I spend countless hours searching for similar systems through patent databases and internet sources, and eventually found a patent from Pinnacle Engines showing a similar setup.